With sincerity and hard work of our professionals, we have carved a niche for ourselves in this domain by providing a premium quality gamut of Open Section Mill Rolls. A roll-on deodorant from Old Spice that is effective against odor and wetness. The fragrance Whitewater is fresh with aquatic notes. Owing to the wide experience of this domain., we are instrumental in offering Rolling Mill Roll. 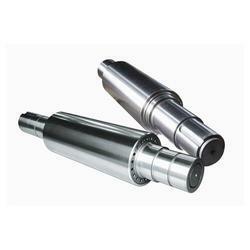 Owing to the wide experience of this domain, we are instrumental in offering Rolling Mill Roll. - We specialize in all types of rolls for rolling mill having diameter upto 1100 mm and length upto 10000 mm in all international standards. These heavy duty flaking rolls are designed specifically to withstand high pressures and related heat when rolling or crushing corn, bran and rice into cereal flakes, bio fuel mass, feed stock and assorted other engineered food forms. Keeping our synchronization with the development taking place in this industry, we are engrossed in delivering a broad range of MS Open Section Roll. 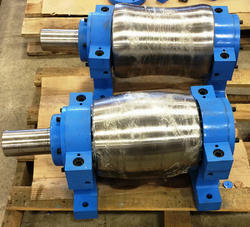 We are engaged in offering high quality range of Rolling Mill Roller to our esteemed customers. Sendzimir Mill / Cluster Mill Rolls, 20 Hi Mill Rolls comprises of Work Rolls , 1st intermediate rolls, 2nd intermediate rolls, Z hi Mill rolls, and back-up bearings. Rolling Mill Roll go through special forging technology to ensure optimum performance. The structure of Rolling Mill Roll is sturdy and has high tensile strength. We manufacture a wide range of mill roll 2 hi from high carbon high chromium steels. The size and diameter varies as per clients requirements. Since our commencement, we are immersed in presenting an elite array of Paper Mill Roller.